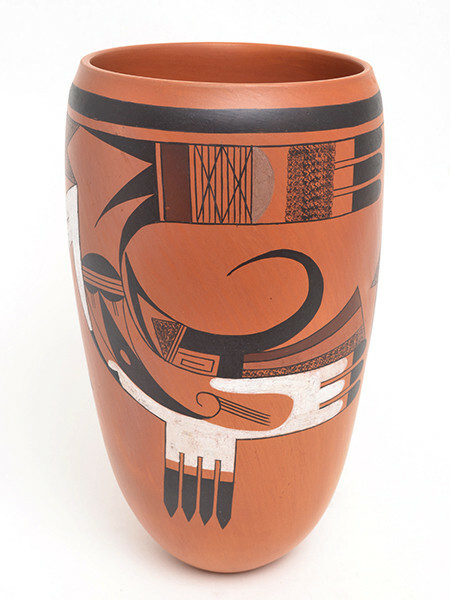 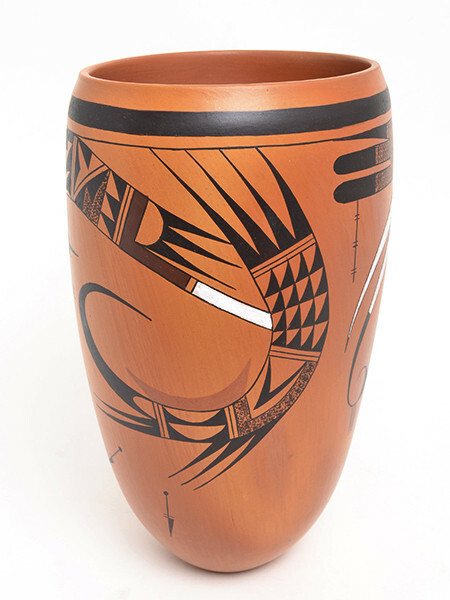 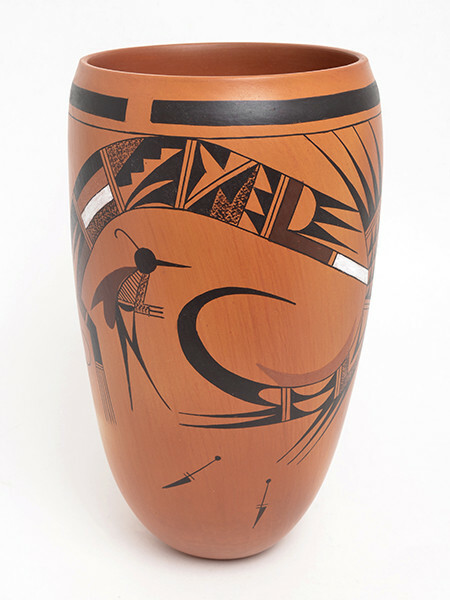 Pottery Vase by Garrett Maho (Hopi) Garrett Maho was born in 1976 and is a member of the Rabbit/ Tobacco Clan. 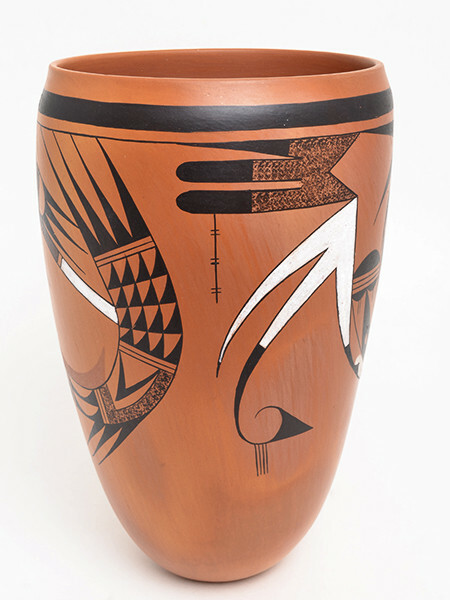 He has been making pottery since 1996 and was taught by his grandmother Marilyn Mahle and his aunt Gloria Mahle. 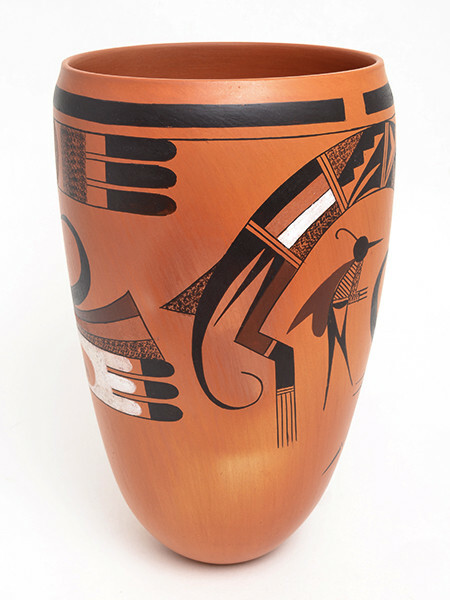 This pot measures 10 inches tall by 18 1/2 inches in circumference. 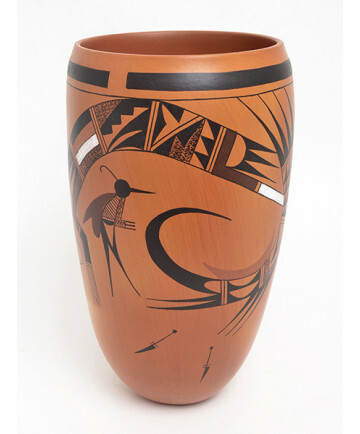 Approximate diameter measures 6 inches.